Hi guys! I am so excited to share that it is finally Spring weather in New York. 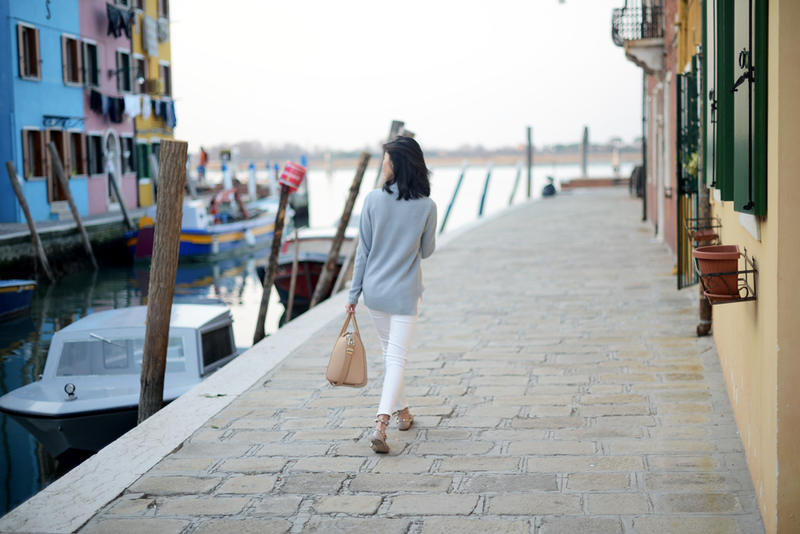 In order to celebrate this good news, I want to share with you a Spring themed post of pastel colors back when I visited the lace island, Murano, during my Italy trip. When I shared this outfit with you guys on Instagram, many of you commented about how "fancy" I dressed while I was abroad. While I was a little flattered, I was also embarrassed as well, but I honestly wasn't surprised because these Rockstuds seriously add so much glam to any of my outfits. If you've been following my blog for a while, you'll know by now that I'm not a heels person. Although I really wish I was more into higher shoes at times, I'm also kind of loving the fact that all of my flats are extremely comfortable making them convenient for all sorts of occasions. I sometime even cheat at cocktails event by wearing these flats instead of a pair of heels (shhh!). 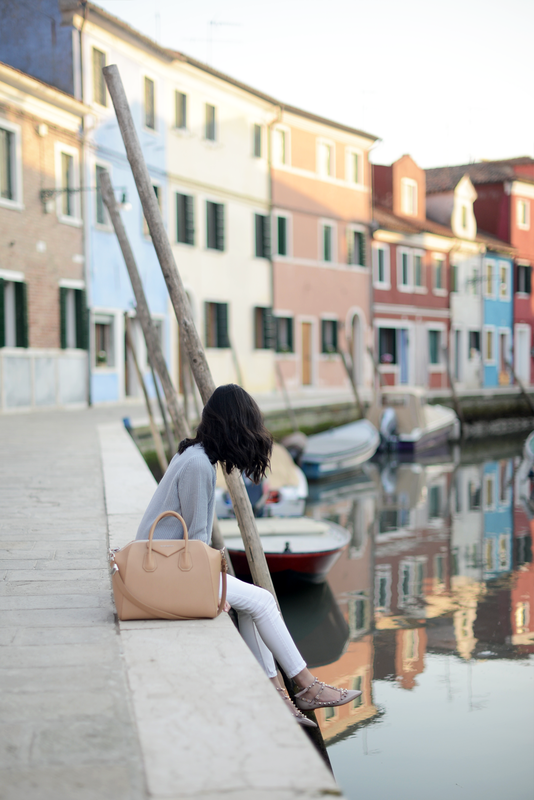 For this specific post, I'm channeling my Spring mood into these pastel colors. I love how effortlessly they go together, as well as how they really compliment my beige Antigona. Since the weather was still quite chilly over there as it is here now, I kept warm with a mock neck sweater so I wouldn't have to add on a scarf.